Ritchie Valens was a Mexican-American singer, songwriter and guitarist. 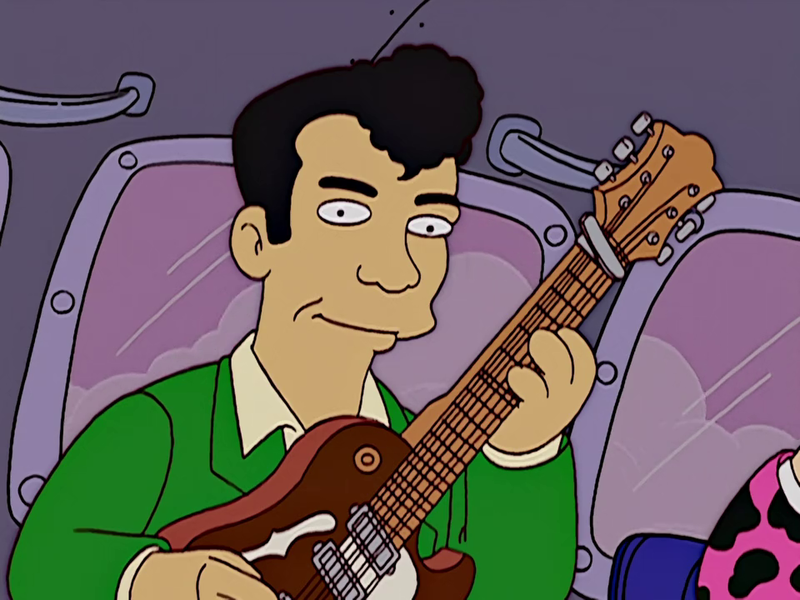 Ritchie Valens was one of the deceased people who voted for Sideshow Bob in the Springfield mayoral election. In an episode of Itchy & Scratchy, Scratchy was sitting in a plane when he noticed his fellow passengers were The Big Bopper, Ritchie Valens, and Buddy Holly. They revealed themselves to be vampires and advanced on Scratchy. Moments after that, the plane crashed. Modified on August 7, 2018, at 06:18.